The process to download the extension itself is very easy, you just need to copy and paste the link to the Chrome Extension’s Webstore URL into the given input box and hit the Download extension button and that’s it! (In google chrome it will prompt you if you want to keep or discard the extension file). I’ve personally give the online service a try and it works really well across different web browsers, even with Chrome itself (It doesn’t show the same error pointed earlier). 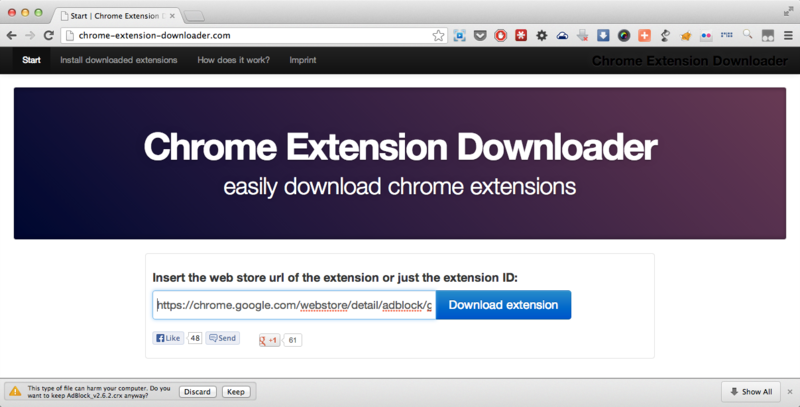 The site also has clear explanation on how to install the downloaded extension into your Chrome. Computers and information technology are the areas I’m really very bad, very interested in this. Really thank you.